" Zingi " - a project for creative people , each of whom wants to build a more interesting and better world . Our goal - to unite humanity , erasing borders and language barriers , engaging people in joint creative and interesting work to change the world for the better. We know that this is possible , and now Zingi is a great platform for creativity , creation and implementation of new and new ideas. One of the tools that will help to achieve this design. For example, the urge to see the usual appliances in a new format that would stimulate creativity. Traditional forms remain in the past , and to replace them come new original motives. Expanses of limitless imagination ! " Zingi" - a way to build a cohesive society in which everyone has the right to freely exercise their creativity. This will give a lot of new ornaments, patterns , shapes and designs .
" Zingi " will open the way for a new, more comfortable and beautiful art and household items. Appear bright things started with a soul , house decorating and brightened everyday life. Infrastructure - poles, bus stops and metro stations , shops - using decorative linings and coatings are easily converted into decoration streetscape . They help those who see them , think a little more positive and smile at each other more often . Let it all looks like science fiction , but the technology of designing and manufacturing techniques and materials developed so that everything is possible in the coming years . New styles will evolve and improve the growth of public interest and, therefore, increase the rate of production . This will give a powerful impetus to complete rethinking of the design and functional household items and technology in general . Why is all this necessary ? Free collective creativity to change the real world for the better, filling it with all the best that is already mature and ready to translate into reality. Overcoming barriers to international communication is not enough to stop the choice on any national language, because in this case we have to challenge the identity of other languages. The principle of construction of phrases and sounds, pronunciation, the «game» with morphological features and grammar, a lot of features intended to combine language Zingi, common to all peoples. Why the English word «daughter» so much extra letters? «I Love you», - why you can't build a phrase? Why complicate the French principle of formation of numerals? How to learn a huge number of characters?.. List of shout-questions that come to mind potential полиглотам, is long. Language Zingi not make the user's hard to sigh at the sight of articles unusual endings and many unreadable letters. It is based on logic, modern technologies and the desire for simplicity. The basis for the written word can serve as a tandem its visual image and transmission through the letters. Using different ways to convey meaning, the dialogue participants exchanged concise and succinct texts. Simple alphabet is an important characteristic of the new language. Words on Zingi are written and pronounced the same, the letter coincides with its transcription - dream come true polyglot! No need to arrange brain intellectual torture, remembering complex rules of spelling. The proposed alphabet includes recognizable Latin letters. People learning the language Zingi, will appreciate the opportunity to use the previous keyboard and existing electronic gadgets. 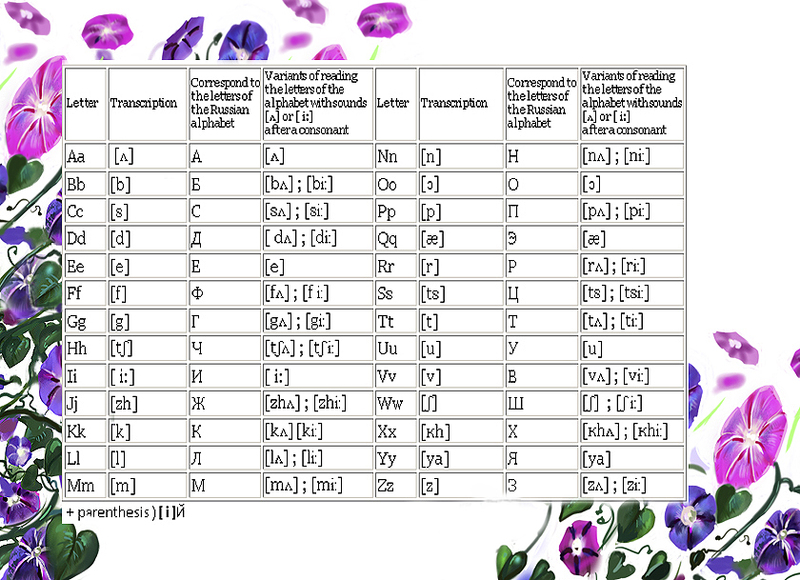 In addition, the newly created alphabet can transfer almost all the sounds used by speakers of the various languages. Language Zingi eliminates the complicated rules of pronunciation and use of accents. Words are formed from a minimum set of sounds, easily perceived and pronounced. Rules Zingi can reduce the number of words needed for full exchange of information. «Highlight» a new language - the use of the icons that may accompany the words as emoticons (smileys). Perhaps the novelty attracts many people. Duet colon and parenthesis - a familiar smile helps to Express the delight, sympathy, a sigh of disappointment. Even in the notes and postcards people used to leave these small icons. Thus, Zingi provides emotional support text. The new international language adopts the tradition of communicating through electronic resources, so characteristic of the «modern» he justifies full. Yes, language Zingi can be considered to be artificial. Yes, it must pass the test of time. But its viability confirm the modern musical currents, graffiti style of communication on the web-space.